HomeBlogUncategorizedSpring has sprung and we certainly are busy! Its been a busy couple of weeks for Team Oxifree. 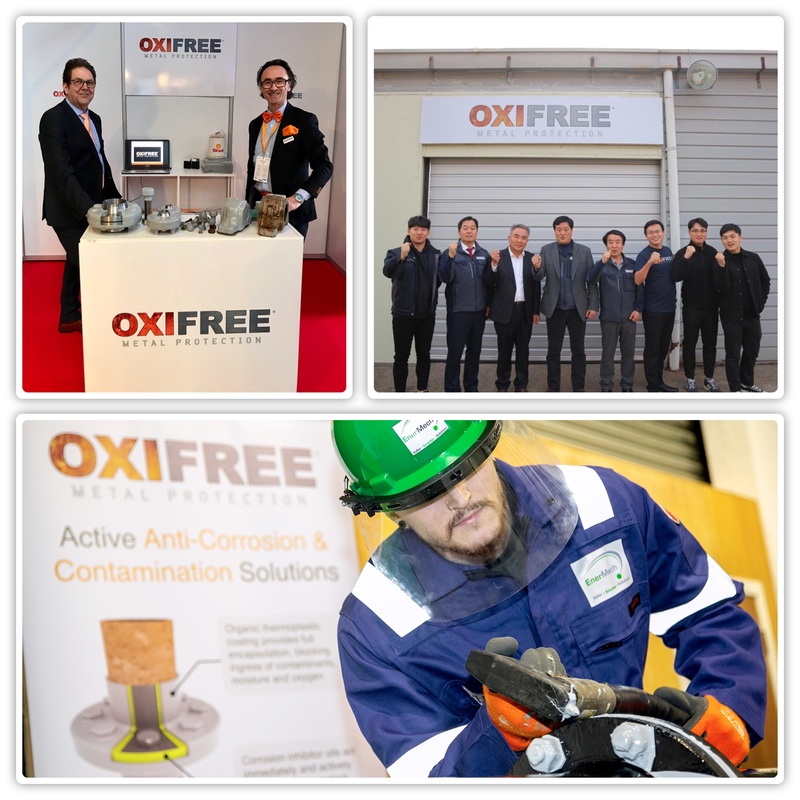 Our BDM Marcus Yap is in South Korea with our representative Hae In FTS Ltd conducting sales support training with their Oxifree team. What a great photo, we wish you all a successful week! Our BDM Theo Rijper is in Sweden with Hans NordÃ©n from our representative Korrosionsstopp at the Utstallningen Bergdagarna 2019 show. We hope they have a great couple of days showcasing Oxifree products. Great to see our alliance with EnerMech in action last week. They conducted a series of live demonstrations in conjunction with our Operations Manager Brian Smith and Technician Andrew Fletcher. And next week Brian Smith and Nigel Thomson will be at NACE Corrosion and Expo in Nashville, USA and Marcus Yap will be supporting our representative for China, LangFang HanHua at CIPPE In Beijing. Its certainly proving to be a busy March. We wish all our representatives continued success.